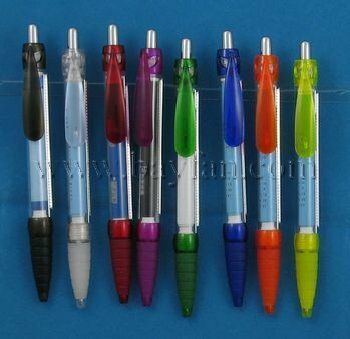 Novelty pens with springloaded banners | BayFan :: Your Promotional Partner! 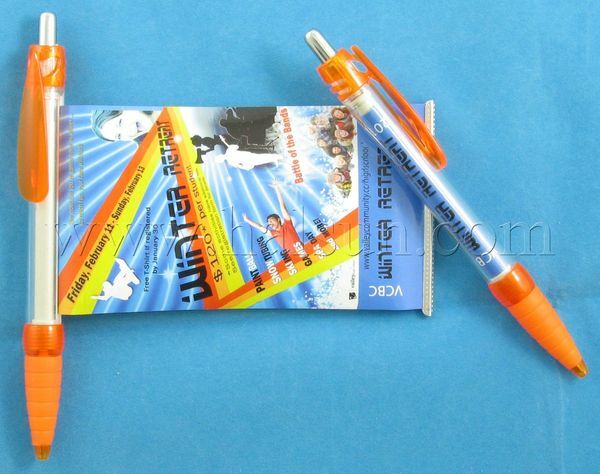 We've been professional Chinese manufacturer and direct seller of Novelty pens with springloaded bannerss for years. We've helped many companies to enhance their promotional program, distinguishing political candidates by giving away this unique and useful Novelty pens with springloaded bannerss to public. Supplement your banner stand displays with the perfect trade show promotional giveaway. Message pens! Scroll Banner Pens / novelty pens with springloaded banners are a novel idea that will make your next promotion unique, effective & fun. The simple scrolling design of the banner pen has an instant attraction to all who comes in conact with them. Add your choice of plastic pen colours and you've got a perfect match to your corprate look & style.